Thank you Martijn, to put the fotos in. Shurely my daughter can give me some help to manage the problem in the future. Manfred wrote: Thank you Martijn, to put the fotos in. Shurely my daughter can give me some help to manage the problem in the future. I hope your daughter will be able to provide you the assistence you need! So, whilst there are some childlike qualities & insecurities showing in Marylin's hands, seems she wasn't a "dumb blonde" at all! Lynn wrote: So, whilst there are some childlike qualities & insecurities showing in Marylin's hands, seems she wasn't a "dumb blonde" at all! Would be nice to hear more from details regarding your analysis! I think her life was one big 'performance' (long fingers: the middle finger appears to be the relatively shortest finger, but it is not really short) - and obviously, she was very good in what she did: in 1999 she was voted as the 6th female (movie) star of all times. 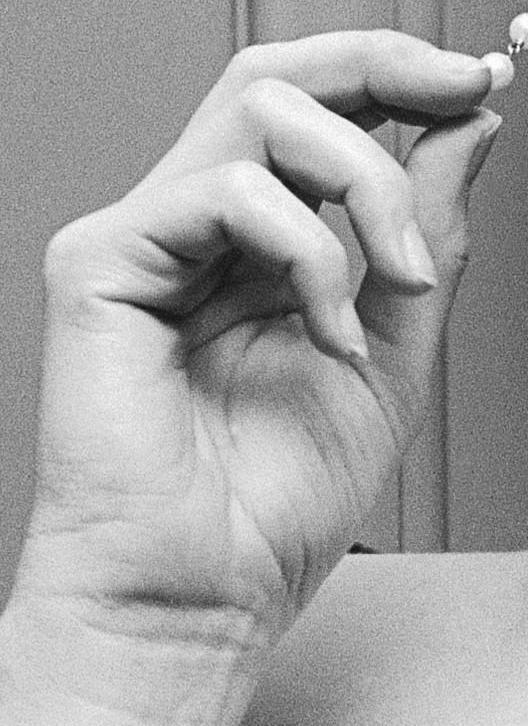 Gracious hands, featured with strong thumbs - and especially the 'middle' phalanges of her fingers appear to be relatively long! Was she really the 'naivety' that she performed so well? Probably not... she mastered the act of 'kind manipulation', though I am not sure if women were as well sensitive for her 'tricks'. ... she mastered the act of 'kind manipulation', though I am not sure if women were as well sensitive for her 'tricks'. I know that I always felt "motherly" towards her ... even as a young woman. It is not common to hold the fingers so they lean away from the thumb. 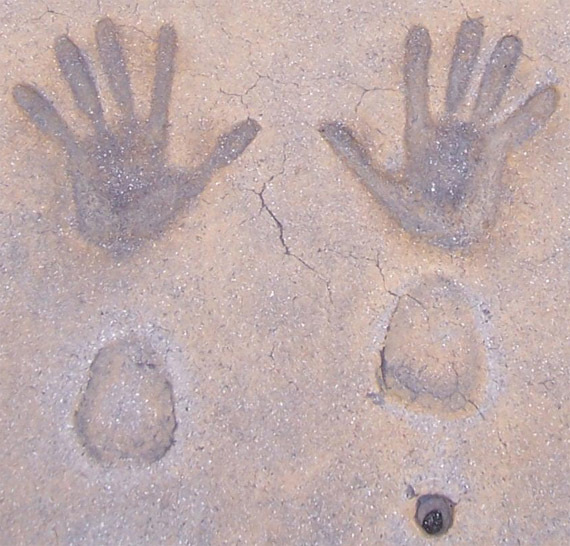 At first I thought maybe this position was because they were deliberately placed in wet cement. Then I noticed many of the other photos here showed the same positioning. I think most people that hold their hands this way tend to come across as arrogant or overly confident. They are not easy to approach as is the type of person who holds their fingers leaning toward the thumbs. I don't recall Marilyn being referred to as arrogant. Does anyone know anything about this aspect? When the fingers lean towards the little finger side it is said to mean they don't want to deal with real life and much prefer fantasy or some very personal world. A proudly wishing for standing in the middle on stage with a parfueming and unsecure leaning of not knowing who she really was. Dissolution of the indiviuality and beeing a "public" personality. Ideal for collective projections of all kinds. Communication skills with a leaning for beeing independent and finding supporting friends. Deep depressions with a habbit to hide away and to experience deep and dark mental tragedies.They have their roots in family complexes. 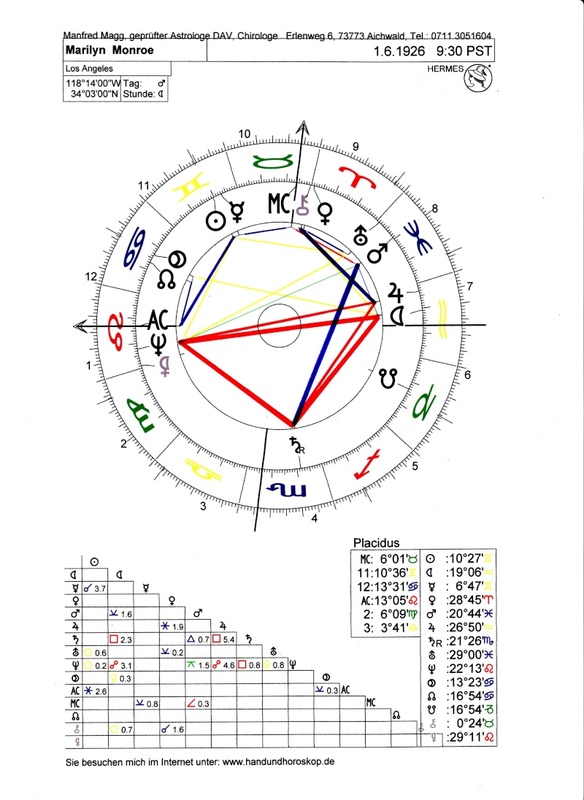 - Venus as the ruler of the third House (Libra) and of the MC Taurus near the MC with a Trigon with Jupiter/Monn in 7: Love, beauty, style and self-presentation as the most mentioned personal forces by a wide audience. Hurted and humiliated self-worth in front of the public eye. Most important date for this on base of the a. chart around her 22nd. (Later think of J.F.K). Thanks Jeanette, I haven't heard that interpretation. That should include "delusions of grandeur". 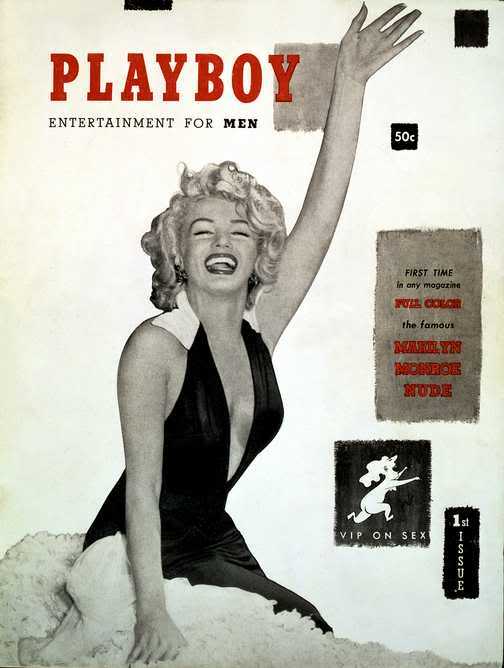 But then, Marilyn was a top pin up girl and movie star of her time - she earned that fantasy world. A proudly wishing for standing in the middle on stage with a parfueming and unsecure leaning of not knowing who she really was. Dissolution of the idiviuality and beeing a "public" personality. Ideal for collective projections of all kinds.